We establish the interior and exterior Gauss–Green formulas for divergence-measure fields in Lp over general open sets, motivated by the rigorous mathematical formulation of the physical principle of balance law via the Cauchy flux in the axiomatic foundation, for continuum mechanics allowing discontinuities and singularities. The method, based on a distance function, allows us to give a representation of the interior (resp. exterior) normal trace of the field on the boundary of any given open set as the limit of classical normal traces over the boundaries of interior (resp. exterior) smooth approximations of the open set. In the particular case of open sets with a continuous boundary, the approximating smooth sets can explicitly be characterized by using a regularized distance. We also show that any open set with Lipschitz boundary has a regular Lipschitz deformable boundary from the interior. In addition, some new product rules for divergence-measure fields and suitable scalar functions are presented, and the connection between these product rules and the representation of the normal trace of the field as a Radon measure is explored. 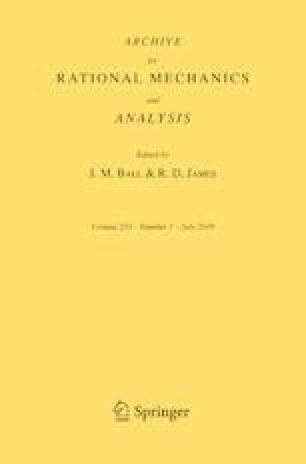 With these formulas to hand, we introduce the notion of Cauchy fluxes as functionals defined on the boundaries of general bounded open sets for the rigorous mathematical formulation of the physical principle of balance law, and show that the Cauchy fluxes can be represented by corresponding divergence-measure fields. The research of Gui-Qiang G. Chen was supported in part by the UK Engineering and Physical Sciences Research Council Award EP/E035027/1 and EP/L015811/1, and the Royal Society-Wolfson Research Merit Award (UK). The research of Giovanni E. Comi was supported in part by the PRIN2015 MIUR Project “Calcolo delle Variazioni”. The research of Monica Torres was supported in part by the Simons Foundation Award No. 524190 and by the National Science Foundation Award 1813695.